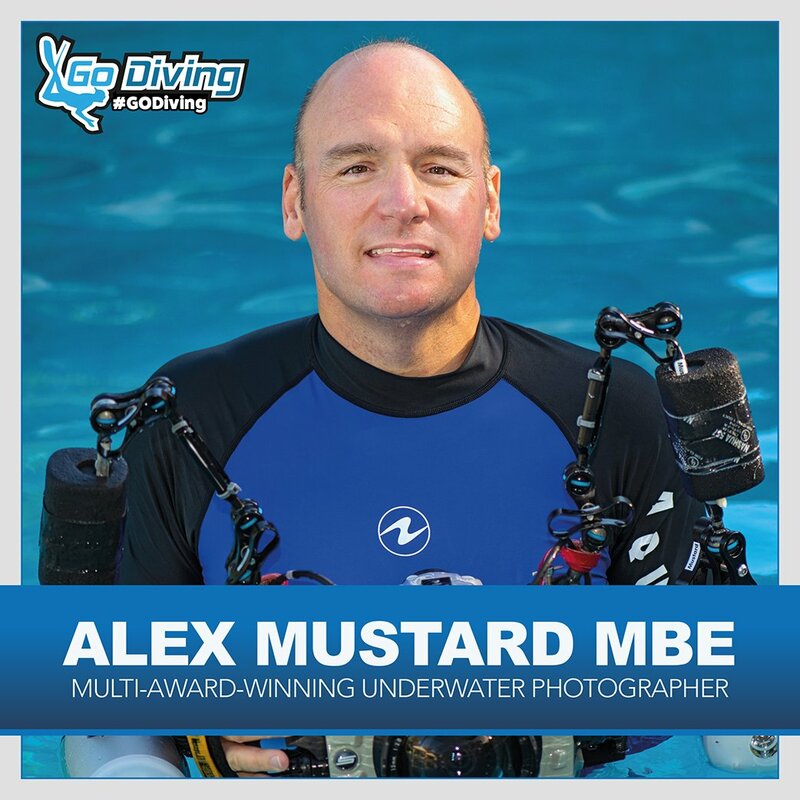 Freshly honoured, Dr Alex Mustard will be speaking at the new GO Diving show. A former marine biologist who is now widely regarded as one of the world’s leading underwater photographers. His images have won many international awards, including being regularly awarded in the Wildlife Photographer of the Year. He has published several books, including his 2016 instructional book Underwater Photography Masterclass, which has rapidly become the most-sought-after title on the subject and was reprinted just two weeks after its launch. He is the founder of the Underwater Photographer of the Year competition, Associate Editor for Wetpixel.com and committee member of the British Society of Underwater Photographers. In 2016 he received the ADEX Award for Extraordinary Contribution to Underwater Photography and in 2018 was made an MBE in the Queen’s Birthday Honours list.